NEBOSH training courses in Mansfield. Project Skills Solutions training venue provides a comfortable and convenient location for your health and safety training courses. NEBOSH stands for the National Examination Board in Occupational Safety and Health. It is a privately awarding body with a charitable status offering a comprehensive range of globally-recognised qualifications designed to meet the health, safety and environmental management needs of all places of work. The NEBOSH course is run over 12 days (including one day for exams to take place) where you will gain a broad understanding of key health and safety issues. The course covers the legal requirements for health and safety within the UK and the identification and control of workplace hazards. After the completion of the course, you will gain the NEBOSH National General Certificate. Which NEBOSH Course Is Right For Me? NEBOSH courses are aimed at those in all kinds of industries and all stages of their careers. NEBOSH offer award qualifications to provide health and safety knowledge all the way through to Masters level qualifications. Our most popular NEBOSH qualification is the National General Certificate in Occupational Health and Safety, suitable for managers, supervisors and staff from all types of organisations who are looking for a broad understanding of health and safety issues. The certificate will also help delegates step into a career in health and safety as it will provide a valuable overview and a sound basis for further professional study. 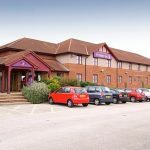 Project Skills Solutions offers the NEBOSH National General Certificate course at our training centre situated in the Premier Inn, Mansfield, just off the M 1. Mansfield train station is a short 7 miles away. Also close by is East Midlands Designer Outlet is 1 mile away – so you can unwind with some retail therapy. You can also enjoy other nearby attractions such as the Felley Priory Gardens or the Meadowhall Shopping Centre. The hotel provides a well varied breakfast buffet and free lunch is provided alongside refreshments. The course hours are 9am-4pm and the venue is air-conditioned. Unfortunately there is no parking available onsite, however, there are parking spaces available on nearby roads within a short distance. Free lunch is provided alongside refreshments. 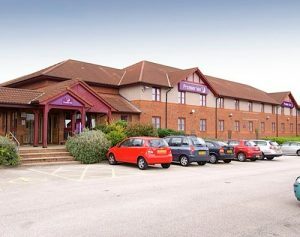 Situated just off M1 J28 on the A38 (signposted Mansfield), entrance to Hotel is 200 yards on left. Next to the Castlewood Brewers Fayre. When programming your Sat Nav device, use the following postcode: DE55 2DY.